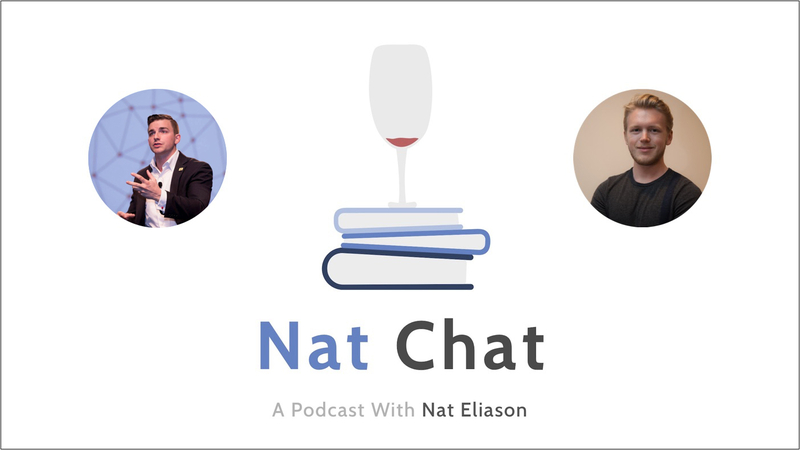 In this episode of Nat Chat, I’m joined by Zak Slayback. Zak dropped out of the University of Pennsylvania when he realized that college just wasn’t for him. Since then, he’s worked on business development, published his own book, become the head of publishing for an online publication called The Mission, and much more. He’s had experience going outside of the school system, learning on your own, developing that reputation and that skill set, and getting to work with some really respected people in his field. He’s a perfect example of how you can be successful without necessarily having a college education. And much more. Please enjoy, and reach out to Zak on Twitter! If you enjoyed this episode and want more on getting apprenticeships, you’ll love my episode with Charlie Hoehn. You should also check out my episode with Ben Nelson, where we discuss major flaws in the education system and how we can improve our learning. Lastly, check out my episode with Connor Grooms, where we discuss self-education, accelerating our learning, and more. 1:38 – Intro to Zak and a few thoughts on the flaws of nonprofits. 4:23 – The main issues with nonprofit organizations and some solutions for these issues. 8:06 – How Zak got invited to various talks and some information on what he talks about. 8:55 – The goal for Praxis, what they do, and how they help people find jobs through apprenticeships. Also, some thoughts on college and why it’s ineffective at preparing students for jobs. 13:22 – How Zak convinces employers to hire people who don’t have a college education and shows them their skill sets. Also, some more info on Praxis. 17:49 – How Zak started working with Praxis and received his job there. Also, some thoughts and advice with personality traits. 22:39 – Some of the projects Zak worked on in college and what he was studying in college. 23:24 – How and when Zak decided to leave his university to work on other things. Also, some powerful advice for those who are pursuing a degree. 25:29 – How Zak’s parents took his decision to leave college. 27:34 – When Zak made the switch to do more writing. Also, some advice for those who want to be a better writer and then him detailing what his recent book is about. 29:30 – Zak’s job as the head of publishing for The Mission and a few of the things that he writes about there. 30:35 – Zak’s goal for the educational system and what he wants to see change. Some more advice for people in college or planning to go to college. 34:02 – The flawed statistics with salaries, people getting trapped into these rare high salary jobs, and people trying to make their college decision based on which one has the higher reported median income. 37:55 – Some great kinds of work that tend to work really well for kids going straight in and doing apprenticeships. 39:05 – An important skill that you need to develop for success and how to learn it. Learning about opportunity cost and apprenticeships. 46:08 – Some things that helped Zak learn more about himself and his interests. Also a bit on the self-authoring program. 49:55 – What the self-authoring program is, how it works, and how it can benefit your life. Also, how you can achieve your goals easier and what you can do if you’re struggling to reach your goals. 54:33 – Some of Zak’s favorite books that impacted and helped him the most. 57:45 – Getting a free book from Zak’s website each week and some information on his upcoming book “How to Get Ahead When You Have Nothing to Offer” and when it will be released. 59:13 – Wrap-up, some last thoughts in general, his podcasts, and where to find Zak online.